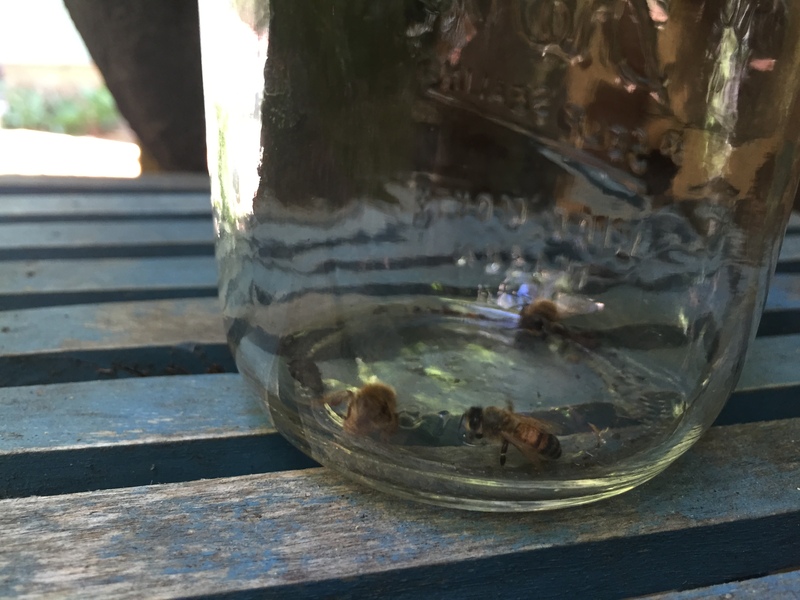 Caught them in a jar and now wait to see if they hatch zombie flies. Ug. And I thought varroa mites were gross. Reading up on ZomBees, it seems as though this parasite is unlikely to wipe out my hives, at least. Fingers crossed that’s true. Previous Previous post: ZomBees…? Seriously?